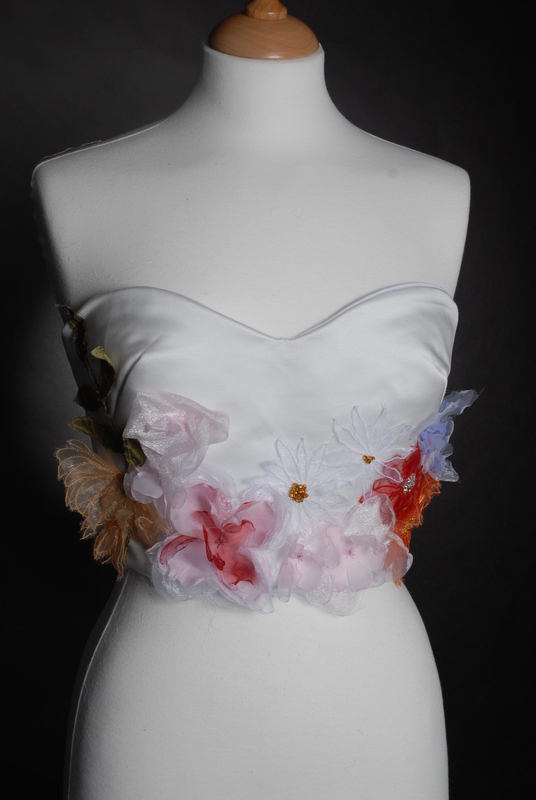 Textiles Fashion focuses on creative and experimental approaches to contemporary fashion design and garment making. You will learn how to develop innovative solutions to a Fashion Design Brief through in-depth research, experimentation and sample making. The course gives students an exciting opportunity to explore design solutions from the worlds of Fashion, Costume and Accessory Design. The Coursework Portfolio- working to a Design Brief you will explore the visual research processes used by Fashion Designers to take an idea from design to final concept. You will learn a diverse range of Fashion and Textile skills including; creating Concept boards, fashion drawing, how to drape and model a garment on a dress stand, pattern making, how to select appropriate fabrics and fibres, together with garment construction techniques. An important resource to support your study will be the written and practical exploration of historic and contemporary Fashion Design, Textiles, and Fine Art. Students are required to complete two units of work at AS level. The exam themes are externally set, with an eight week preparation period, supported and structured in a similar way to the Coursework portfolio, and this will be followed by an eight hour exam. You will be encouraged to work with more independence at A2 level, and generate a personal Design Brief, called the Personal Investigation, which builds on the individual specialist interests and knowledge you acquired at AS level. You will be supported and guided through workshops and one to one tutorials to ensure your work communicates an ambitious depth of understanding and a high level of practical sophistication. The exam themes are externally set, with an eight week preparation period, supported and structured in a similar way to the Personal Investigation, and this will be followed by a twelve hour exam. Many of our students choose to study specialist degree courses in preparation for a career in Fashion or Textiles, most recently these have included; Fashion Design, Fashion Marketing and Merchandising, Textile Design, Interior Design, Costume Design, Jewellery Design, Visual Merchandising and Textile Art.